The standard gauge steam railways in existence before the Grouping of 1923 have never been more popular, particularly for modellers. The colours that their locomotives and rolling stock were painted is therefore of increasing importance. To illustrate a series of magazine articles on this very subject, published between 1994 and 2006, the author produced dozens of paintings. 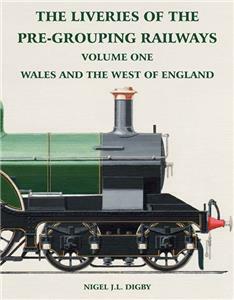 These volumes bring together for the first time the original paintings with new text, new scrap views, photographs and colour patches in an endeavour to present as accurate a view as possible of this fascinating period in railway history.